***NEW*** Fibromyalgia Awareness ribbon enamel badge / brooch. Pain, Charity. 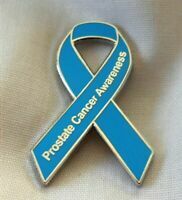 ***NEW*** Prostate Cancer Awareness ribbon enamel badge / brooch.Charity. 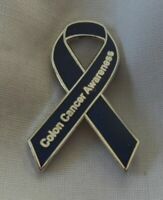 **NEW** Colon / Bowel Cancer Awareness ribbon enamel badge / brooch.Charity. 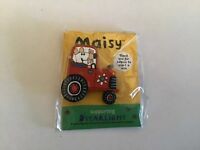 ***NEW*** Dementia Awareness ribbon enamel purple badge / brooch. Charity. The Racehorse Rescue Centre received an award from the Prime Minister in July 2017 for the work it does with the community. It is an Approved Retraining Establishment for the care of vulnerable or unwanted former racehorses, by the RoR. We are not just a Rescue Centre. We provide free programmes to disadvantaged groups to help them develop their skills in the community such as injured soldiers, disabled and NHS. We are 100% volunteer run so any help goes direct to the horses, not on salaries.